Your audience at your fingertips. Check out our global panel counts by country! comply with the TCPA 2015 ruling. help you on your next study. Flexible, Powerful and Mobile Friendly. For over 20 years, The Logit Group has been a leader amongst data collection firms, and our ongoing commitment has been to develop and administer industry-best technologies as the basis of our research execution. Our ambition is to collect accurate, consistent and valuable data for our clients. We’re methodologically flexible, which allows for us to match the ideal research design(s) and methods to each specific client engagement. Our focus is not simply to collect data. Rather, the pace, complexity and technological requirements of today’s market research drive us to be practitioners in the science and art of research execution. 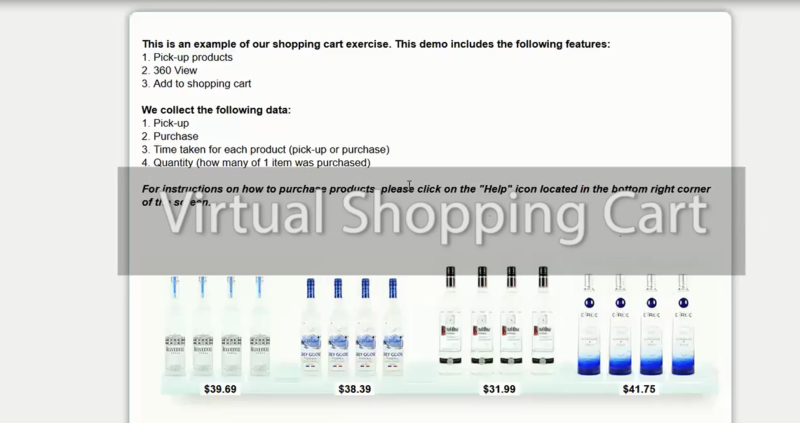 The Logit Group offers both consumer and B2B online panel sample. We have coverage in countries across the globe to maximize feasibility on each and every product and deliver results at an affordable price. Logit Group has been conducting CATI research for decades, we have an unrivaled ability to retrieve high quality B2C and B2B data from major and niche markets throughout both Canada, the US and globally. The Logit Group has trained and experienced teams of face-to-face interviewers available in leading markets across Canada for mall and in-store intercept studies. Multi-lingual interviewers available. Do you need high quality research to power your decision making? Let the Logit Group's IDI team open the door to greater insights and improved operations. Audiences include B2B and medical. As founder, Sam’s vision has always been to reinvent and reinvigorate data collection within the research industry. From building a dynamic team of research execution professionals, to staying on the forefront of technological, methodological and regulatory trends, Sam embodies the passion that the Logit team brings to research execution. Anthony’s leadership and experience in all methodologies and statistics have helped grow The Logit Group into one of the largest research execution firms. A member of the MRA/Insights Association and a strategic thinker, Anthony has built a team of research professionals that have a passion for the execution of market research and advanced technologies. Paul serves as a Managing Partner for the Logit Group. Paul brings a wealth of financial experience to Logit from his days serving as an executive for one of Canada's largest banks. As COO, Tim plays a pivotal role, bringing people and process together to deliver results for Logit’s clients. In addition to working directly with a number of clients, Tim oversees all aspects of the company’s operations including project management, field operations, technology, programming, and data processing functions. David is an accomplished field and operations professional with extensive experience in both CATI and CAWI methodologies. David first started at the Logit Group in 2004 as the Director of Field Services. David currently oversees production and logistics at each of Logit's North American centres. Agnes is one of the longest tenured members of the Logit team and currently serves as the Vice President of Project Management. Her dedicated team of project managers ensure that projects are completed on time, on spec and within budget. Aref`s strength is his holistic market research skill set. From client services, to operations across telephone, in-person and on-site methodologies, Aref is the perfect client advocate and research problem solver. If you are looking for face-to-face, telephone or on-line solutions. Oscar has over 25 years’ experience in market research especially in the areas of Project Management and Business Development. Before joining the firm in 2014, he held senior positions at Greenwich Associates/Corsential/Consumer Contact. John’s 25 year career has been focused on quantitative market research data collection. Holding senior positions representing some of the largest and best quantitative Online & Offline data collection companies with operations based in North & Central America and Asia. Chris is persistently focused on providing superior value and experience for each client relationship. With over 20 years of industry experience serving in leadership roles for both technical groups and project management teams, he has a proven track record of success. "Logit’s focus is not simply to collect data. Rather, the pace, complexity and technological requirements of today’s market research drive us to be practitioners in the science and art of research execution." The Logit Group is a proud partner of the Cido global research network. With offices and research data collection experts in the US, Canada, Costa Rica, Germany, China, India, Hong Kong, Singapore, Vietnam and Indonesia, we support our clients with local insights and expertise, balanced by our global vision. The result is a research execution company that recognizes the need for global synergies and a consistent quality of brand experiences. We will continue developing a successful international team that capitalizes on its synergies and shared knowledge. We will always learn from our international colleagues and allow each client’s personality to contribute to our culture and our identity. We will build and foster a culture of harmony, energy and positivity among our associates worldwide. is a proud member of, and supports, the following research organizations.